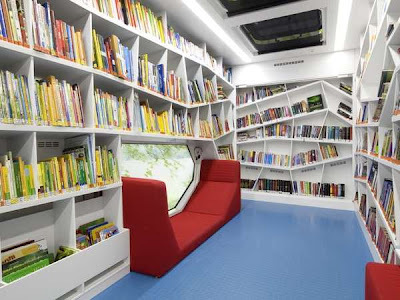 Blog » Read On: Happy National Bookmobile Day! Read On: Happy National Bookmobile Day! 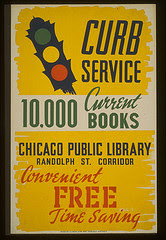 It’s National Library Week and today we celebrate that glorious invention, the bookmobile! For over 100 years, mobile libraries have brought books to community members unable to make the trip to brick & mortar libraries. Bookmobiles have brought together communities over the years—and are still rolling today! And don't forget that in addition to a good read, your local library is a one-stop location for job advice, classes, readings, all-around hullabaloo—oh, and a sense of community. So renew that dog-eared library card, wander on by or happen across their website (or flag down a bookmobile) and show your local library some love, because it's clear that "Communities Matter @ Your Library!" Libraries—especially the wheeled variety of course—certainly can take you places!